Survive. Don't go insane. This is Mark Watney's new goal in life. 6 sols ago Mark Watney was living his dream- he was an astronaut on a NASA mission to Mars. That was 6 sols ago. Before his dream turned into a gut-wrenching nightmare of epic proportions. 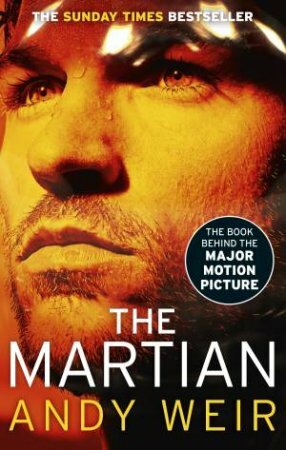 Injured by a freak accident, assumed dead, Mark Watney is now alone in a 'frozen' wasteland where EVERYTHING is trying to kill him. Even the things designed to keep him alive. With absolutely no way to communicate with earth, living in a habitat designed to last 31 days, Watney needs to use all his ingenuity and determination to survive until he can be rescued. If NASA ever notices that he needs to be rescued- and that's a pretty big if. To keep himself from going insane, and for posterity, Watney keeps a log detailing his every effort to stay alive. Full of pop-culture references, and a severe dislike of Disco, the log is a little science-heavy but his quick wit (and multiple explosions) make it really entertaining. Having to take on the roles of every other member of his team - doctor, chemist, botanist, astronaut, engineer, logistics expert, and computer genius - it is sometimes just his dogged perseverance and hope that keeps him going. Destined to become a classic, Andy Weir's sci-fi masterpiece is a singular piece of literature that blends together science and mans struggle to stay alive against indomitable odds.